This session creates relational problem solvers; peak performers moving beyond personalities and into a healthy, principled approach with others. We offer new methods to address the often intense, difficult, and harsh human interactions negatively impacting individuals, our project teams, and the bottom-line. Participants will examine common triggers, miscommunication and early warning signs of the eroding business or internal relationship. This facilitative session introduces the stages of a developing conflict and how to intervene and resolve the problem at any stage. Participants will be exposed to several effective tools and applications to influence peers, managers, and high-value clients with confidence. 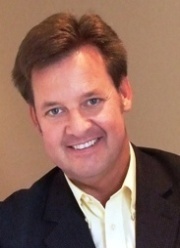 Marcus Mann is an experienced instructor, performance coach and professional facilitator and speaker. As Principal for Sound Predictions, he facilitates pragmatic advice and customized organizational improvement, while motivating influence at every level. His problem solving delivery serves the nonprofit community, financial groups, legal sector, and the aerospace community. Clients include Leadership Snohomish County, the Washington and Utah Bankers Associations, U.S. Coast Guard, Associated General Contractors, the Washington State Department of Transportation & Insurance Pool, Meydenbauer Center, and numerous confidential clients. Equipped with life-changing experiences, Marcus offers a fresh perspective regarding professionalism and how to assert individual responsibility and efficiency at every level. Over the past decade he’s served as the Executive Director of Employee Development for a Seattle-based organization and launched Sound Predictions. His experience includes teaching as adjunct instructor for University of Washington and Pacific Lutheran University. Prior to corporate service, he spent 22 years in public safety and community leadership as one of Washington’s Hostage Negotiations Team Leaders, Public Information Officer, manager for the Police Academy, Critical Incident Stress Counselor, and Special Operations & Community Education Chief.